Workers will have to pay more into their pension pots from today as the latest stage in a "quiet revolution" gets under way. The minimum amount that can be put into a saver's retirement pot under automatic enrolment has increased to a combined 5% of earnings.This is made up of a minimum 2% from a person's employer and 3% from the employee.The minimum rate was previously 2% overall - 1% each from the employer and employee.In April next year, the rate will rise again - to 8% (3% from the employer and 5% from the employee).The rises are part of a Government effort to make people build an adequate fund for retirement, but some have warned they may feel like a "harsh jolt" to employees and their bosses. :: Sky Views - Ian King: Will workers jump or stay in the pension saucepan?Rebecca Goldring, a tax manager at accounting firm Blick Rothenberg, said: "For many, this increase will feel like a harsh jolt. "The Bank of England forecasts wage growth this year and with a rise in the income tax threshold this should boost spending and put more cash in workers' pockets. 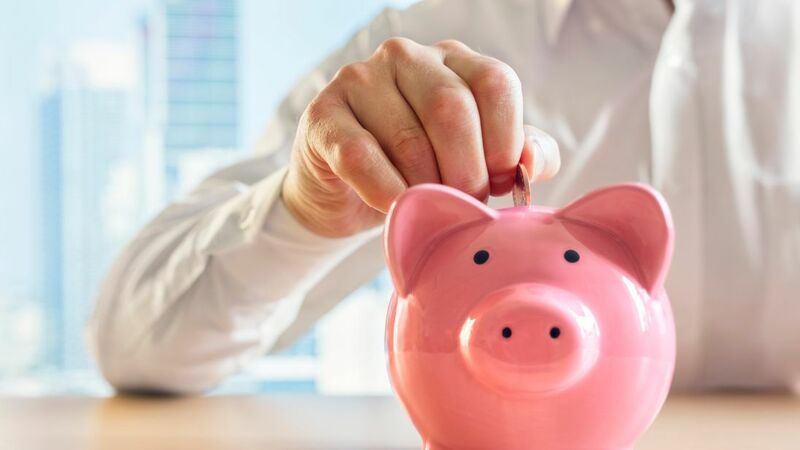 "However, the increase in monthly auto-enrolment pension contributions may result in a decrease in take home pay for some workers. "She continued: "Those who do decide to opt out will, however, unfortunately forfeit the employer contributions, tax relief from the Government and any increase in the value of their pension that could be built up through investment growth over their working life." Auto enrolment was launched five years ago by the coalition government, continuing work that had begun under the Blair and Brown governments.It obliged every employer to set up a workplace pension scheme into which all employees over the age of 22, earning more than €10,000 annually and not already in such a scheme would be automatically enrolled - unless the worker opted out.So far around 90% of workers have remained in their pension and 84% of those auto-enrolled will continue to stay in the scheme, according to research from workplace pension provider Now: Pensions. :: Sky Views - Ian King: Got a pension? Save while you canAviva said that, based on various assumptions, a 22-year-old saving the previous minimum of 2% could have a pension fund of €40,000 to retire on.But at the higher 8% rate expected from 2019, this could rise to €160,000.Alistair McQueen, head of savings and retirement at Aviva, said: "Auto-enrolment has been phenomenally successful at introducing more than nine million people and around a million employers to retirement saving. Sky Views: Will workers jump or stay in the pension saucepan? "This is the next phase of the quiet revolution in pensions that has been taking place over the past five years. "For people to achieve the kind of retirement they want then contribution levels have to be higher, and today marks the first step towards that."